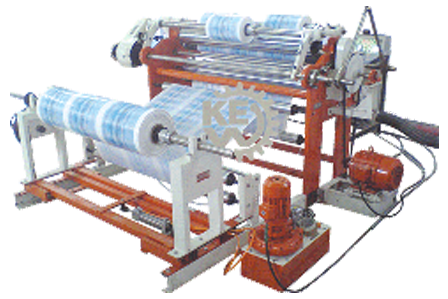 Krishna Engineering Works, a leading manufacturer, exporter and supplier of Metallizing grade Slitter Rewinder Machine. 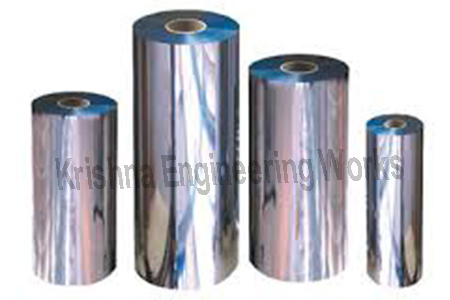 Generally Metallizing grade is applicable in vacuum metallization & for further usage in flexible packaging as a barrier substrate. Our Metallizing grade Slitter Rewinder Machine is especially designed for slitting all kinds of plastic films, laminated materials and labelstock. Metallizing grade Slitter Rewinder basically designed with comprises the different features like, Digital winding technique with AC digital flux vector drives. Automatic tension control and tape tension control. Frictional loss compensation, rewinding moment inertia compensation and correction function of fundamental factors.